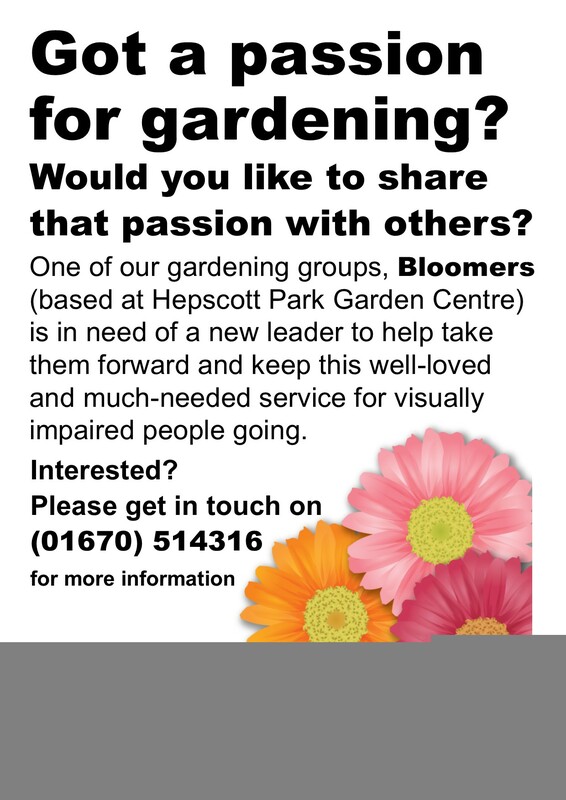 Our gardening group, Bloomers, is looking for a new leader, as their current leader is retiring and the group are keen to carry on. They are looking for someone who will be able to carry on their monthly meetings at Hepscott Park Garden Centre, and who would be happy to handle their small accounts. If you are interested, please call our office on (01670) 514316.